John 19:28-30 After this, Jesus, knowing that all was now finished (ended), said in fulfillment of the Scripture, I thirst. 29 A vessel (jar) full of sour wine (vinegar) was placed there, so they put a sponge soaked in the sour wine on [a stalk, reed of] hyssop, and held it to [His] mouth. 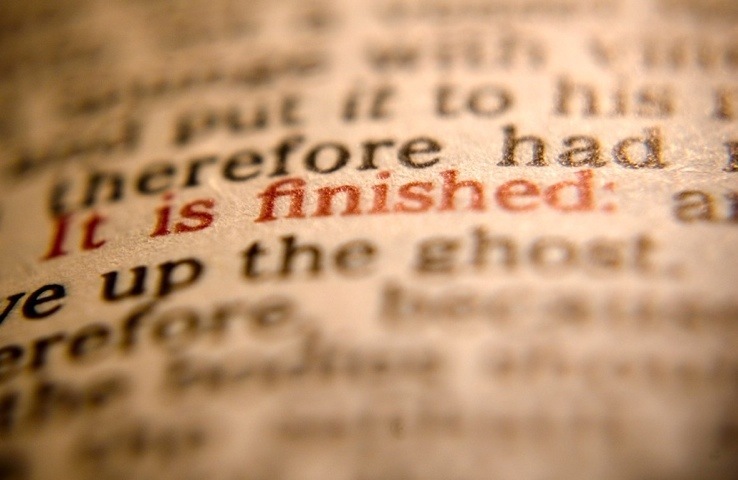 30 When Jesus had received the sour wine, He said, It is finished! And He bowed His head and gave up His spirit. This entry was posted in Devotions & Proverbs & Psalms. Bookmark the permalink.